I give you guys 5 tips, How to become a Pro Mountain biker! I learn those tips following my dream as a racer over my last 25 years riding . Learn mountain bike skills, to ride fast with style, by joining my mtb coaching and training program! The nose bonk to manual is not an easy skill to master, but it looks really damn cool. It’s the best to impress your mates, but also a great way to learn how to own your mountain bike. Time to practice corners before going to Whistler and race A Line ! Today, I’m taking my beginner mountain biker project into a fun (and scary) challenge. A few months ago, he went massive OTB in a very steep and technical section of the World Cup track in Vallnord. Today, he must ride back with a better choice of line, higher technical level, and more commitment. In this video, I’m going through my personal setup for suspensions on a mountain bike (fork and rear shock). Knowing how your suspension works and learn how to tweak the settings will make all the difference. Your bike will fit like a glove, and you will be able to shred like you never imagined possible before. Trust me, it’s worth the trouble of understanding the ins and outs of suspension setup for a mountain bike. MY TOP TIPS FOR A MOUNTAIN BIKE RIDE ADVENTURE ! Last week I went for an adventure in the Dolomites and it was tough ! Especially for my unprepared cameraman Jules. 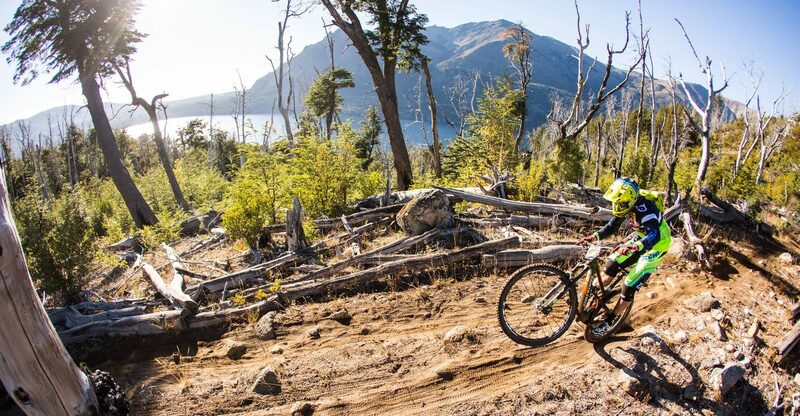 Here are a few tips for you that could be helpful if you go on a mountain bike expedition !